The Square view @ Primrose is a brand new property offering panoramic views over the beach and right up to Hobart City and Mount Wellington. The property is only a 40 minute drive from the Centre of Hobart. Where you can visit Salamanca Market on a Saturday morning. Visit the many fantastic wineries near and around richmond. Drive another 40 mins in the opposite direction and you will find yourself at the Port Arthur Historic sight. Spend your days at the beach, Fishing, Kayaking or just sitting on the deck relaxing and reading a good book. Some pantry items are left for your convenience. Tea, coffee, sugar, Salt Pepper, oil, flour, and some rice. Stunning view, beautiful house, everything thought of and incredibly clean. We loved it. Lovely house, but oh the view! Gorgeous modern house, so much provided! Excellent communication, which was really helpful for our first holiday to Tassie (not the last!). Taking our 3 kids was made so much easier with so many comforts of home, comfy beds, couch and games to play. Only picky minor negatives was turning on the shower for the kids with its trick button and getting wet, and wifi would be a nice bonus (but we understand that’s not what a holiday is all about). We all loved eating out on the deck, soaking up the picture perfect view, and spending time at the huge peaceful beach down the road. The view even from the couch and master bed is just amazing, we loved it! Recommend bbqs as much as possible, even the onions and sauce were provided. Thank you so much Kellie for your lovely review. Glad you had a great stay and felt really relaxed and comfortable. Please stay again next time your in Tassie. Tassie turned and some lovely weather for you. An amazing getaway destination. Perfect accommodation for a small family or couple. 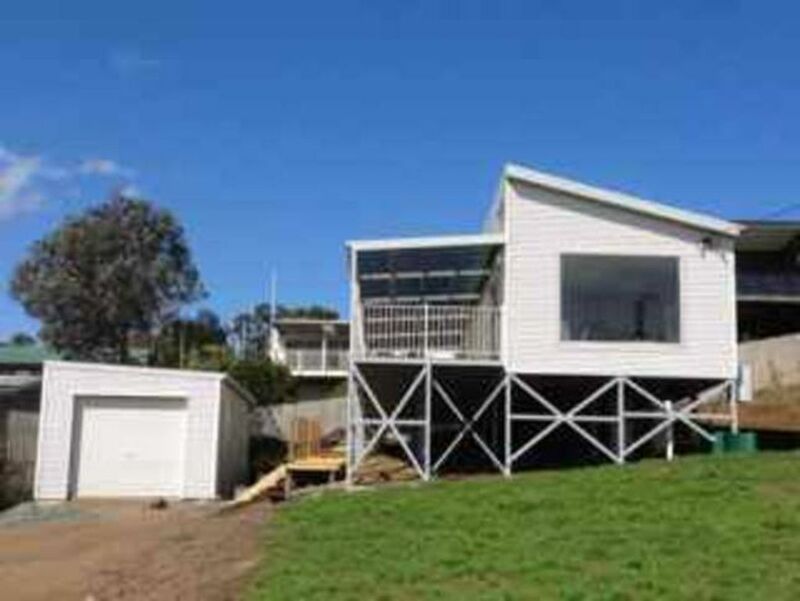 A sleekly modern accommodation, that is so close to the beach, with amazing views. Thank you so much. Really glad you enjoyed your stay. Great house to spend a holiday, most things are provided. Minimum preparation required.